This past week, Mitt Romney released his 2011 tax returns and several tax specialists have weighed in on what the minimal information released has revealed about Romney’s financial status. Ignoring that this return was for a fiscal year AFTER he began his presidential run, the return released showed a number of discrepancies that reveal previous statements by the candidate to be misleading. It all leaves a few questions. Question 1: Has Romney always paid higher than 13% in a given year? For the 2011 fiscal year, Romney made 13.7 million dollars in income and paid 1.9 million in taxes for an effective tax rate of 14.1%. While this rate is still lower than the majority of taxpayers who usually see an effective rate between 15-20%, it raises several questions about whether his rate was under 13% for the previous years. Despite the close scrutiny Romney knew this return would garner he still had to artificially raise his rate to get it above that golden 13% promised. 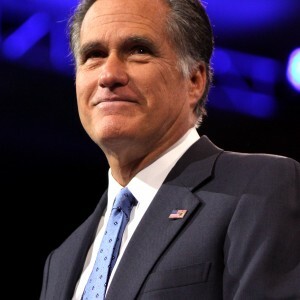 For 2011, Romney chose not to claim a sizeable deduction on about $1.8 million worth of charitable donations. If he did what he says every American is entitled to do, and only pay what was legally due, he would have had an effective rate of only 9%. He admitted he only excluded the deductions this year to keep his campaign promise of paying more than 13% each year, but it’s a long-shot to assume he skipped out on deductions for the returns he refuses to release? Question 2: Did Romney pay an average effective tax rate of 20.2% over the past 2 decades? That was the figure given by the Romney campaign. However, their website delves in to the method more closely, including the confession that for average effective tax rate, they added the effective rate for each year and dividing by 20 calculated the rate. This is a rather unconventional method because it essentially eliminates everything informative of the individual years. For the wealthiest Americans, income can vary greatly from year to year depending on what investments are sold off. On years with the lowest income, Romney paid close to the maximum tax rate 38.5%. So on the years where his income was highest due to investments being sold off, by Romney’s own calculations, his rate likely dropped below 10%. If you were to calculate average effective tax rate the common way, by adding the taxes paid yearly together and divide by the total AGI for the period, you would see his effective tax rate slip down to the low teens. Question 3: Does Romney have any offshore accounts? Romney is likely telling the truth in the claim that he reaps no benefit from gains on investments organized through the Cayman Islands. The likely story is that the funds invested in are reaping the low-tax benefits of the Cayman Islands and the savings are not getting passed down to the investors like Romney in any manner that could be considered tax evasion or tax avoidance. Furthermore, the Cayman Islands are not the tax haven they used to be and any prudent investor like Romney would know better than to choose the Cayman Islands as their offshore banking choice. The issue comes from where the funds are located and the misleading statements on a blind trust. The use of Luxembourg and Bermuda as locations for the funds means the blind trust must be involved in offshore banking. This makes sense, considering it would legally save Romney millions of dollars in taxes and the man admits that he believes no one should pay more than is legally required. Claiming that his funds are managed in a “blind trust” neglects responsibility. He has the ability to ask questions on the direction and methods of investment when initially setting up the trust, which means Romney should have known that offshore banking was at least, very likely, with his blind trust.